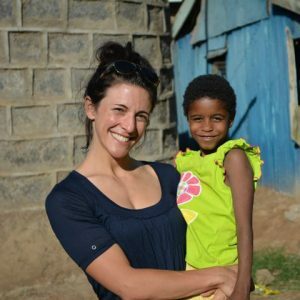 This summer, I spent three months working with St. Vincent de Paul Community Development Organization in Kibera, Kenya (www.kiberachildren.org). St. Vincent’s is a community-based organization dedicated to reaching orphans and vulnerable children with critical education, nutrition, health and protection services. The organization is located in Kibera – one of Africa’s largest slums. Residents of Kibera struggle with poverty, high rates of unemployment, high rates of violence and lack of infrastructure, such as electricity, running water and garbage collection. Working in Kibera for over 20 years, St. Vincent’s targets children through its nursery school, rescue center, scholarship and community outreach programs. As a TFI Fellow, my first priority was to work with St. Vincent’s to build their local fundraising efforts. Like many small community organizations, the overwhelming majority of their funds derive from individuals abroad. My goal was to work with the organization to identify local funders – individuals and businesses, establish relationships with them and respond to funding opportunities. My day-to-day involved a mix of responsibilities, such as researching and initiating contact with possible donors, meeting with St. Vincent’s team to discuss program priorities in light of funding opportunities, writing proposals and developing budgets for programs and developing communication materials to enhance the organization’s profile and to share program successes. I also worked with St. Vincent’s on various other initiatives. This included working to develop financial tracking tools, producing program reports to be shared with donors, interviewing organization staff, chaperoning various school and rescue center field trips, assisting with event planning for a local fundraising event, compiling a database of scholarship programs and working with students to complete applications for multiple scholarship programs. Because St. Vincent’s office is situated within its nursery school, each day at work, I also got to see teachers and watch their lessons, help serve lunch and have fun with the children at recess and experience the interactions between parents/guardians and St. Vincent’s. Most evenings were spent at the rescue center, playing board games, doing art projects or helping with homework at St. Vincent’s rescue center. Each day was extremely full and comprised a mix of office work and hands on time with the children and the organization’s staff. Three months flew by and I am already ready to return!